Wow, that post title looks weird with multiple colons in it. This is my first Final Fantasy Sidequest post. 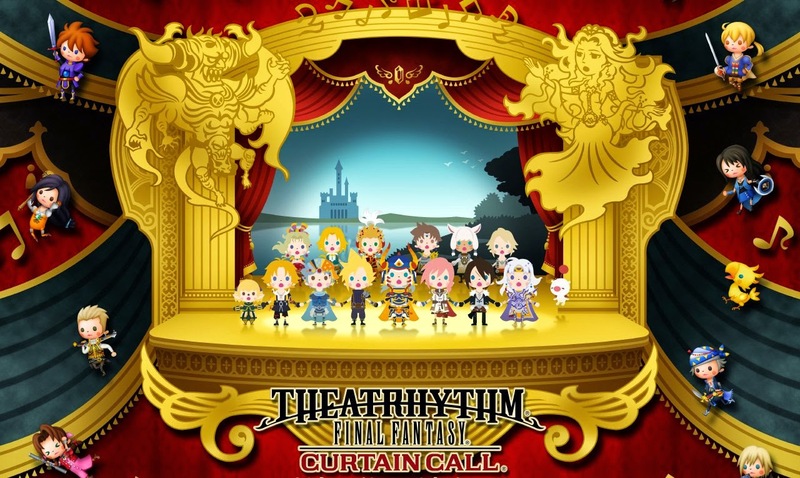 I've been playing Theatrhythm Final Fantasy: Curtain Call a little bit here and there ever since it released on 3DS last September. I thought it was finally time to write about it. I rarely play it for more than 15 minutes in one sitting, but it keeps drawing me back for more. It's been out for over four months and I'm still playing it. That should say a lot about it. It does have a huge pedigree of amazing music to pull from. That's easily the best part of the game. The music selection from the Final Fantasy series is just fantastic. They have it sorted by game and music type which makes it simple to find the track you're hunting for. The main thing that makes this so much better than the original Theatrhythm Final Fantasy game are the control options. I tried the original game and absolutely hated the touch controls. The touch controls just didn't fit the game well and they were the only option. That's no longer the case! Now I'm able to use touch controls, all buttons controls, or a hybrid mix of touch and buttons controls. I tried all the different control configurations the first day I got the game. The button controls were the winner by far. I haven't even thought about going back to touch controls. Buttons are so much better for this game. There's some nice variety in unlockables, quests, and song medleys in this game. They'll keep you entertained and add some fun diversions. They're nice but they're not the main draw. The draw of the game is the music. The amazing Final Fantasy music. You need to get this game if you love Final Fantasy music the way I do. It's wonderful.